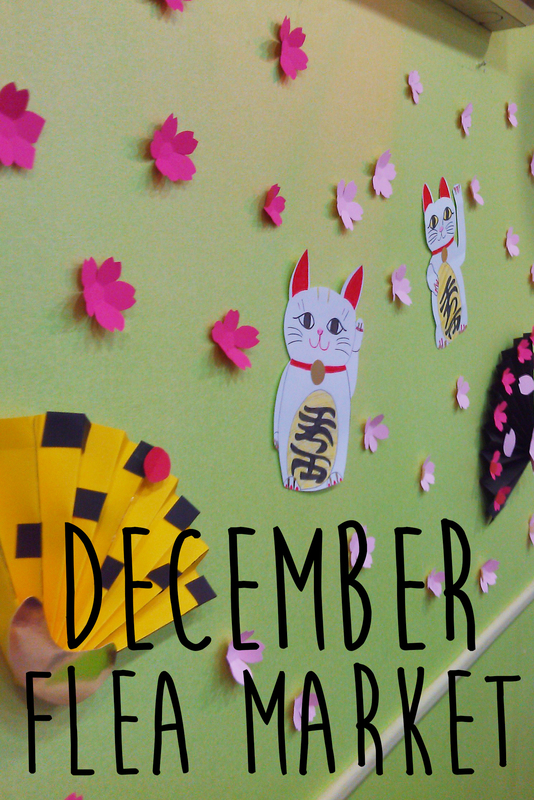 Every December, our school holds a “flea market” to advertise the school in the community and reach new students. This flea market didn’t have too much to do with selling used items, but was a mixture of a festival, school store, and epic dance party. 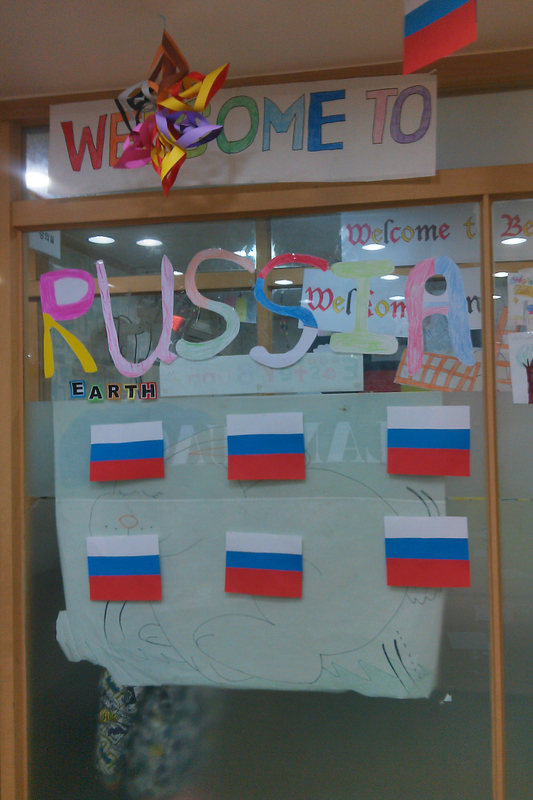 Teachers chose different countries and activities for their classrooms. 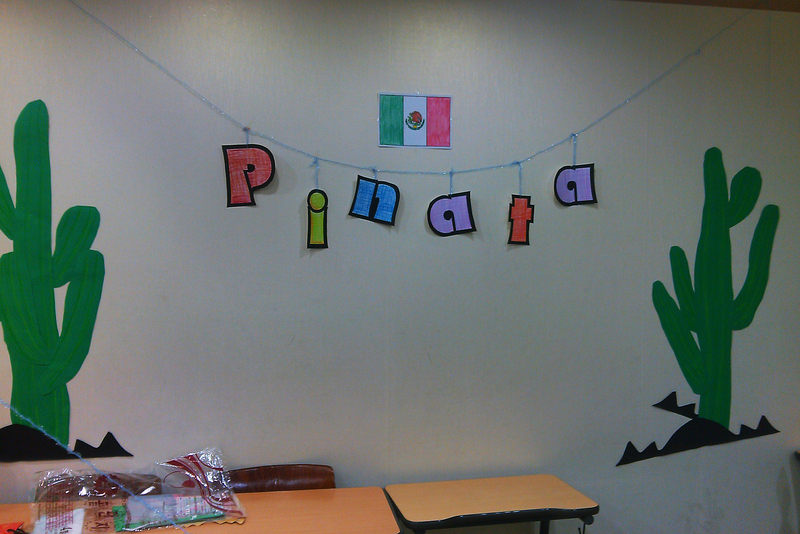 I thought we would match country to activity, but that ended with Mexico and Pinatas. 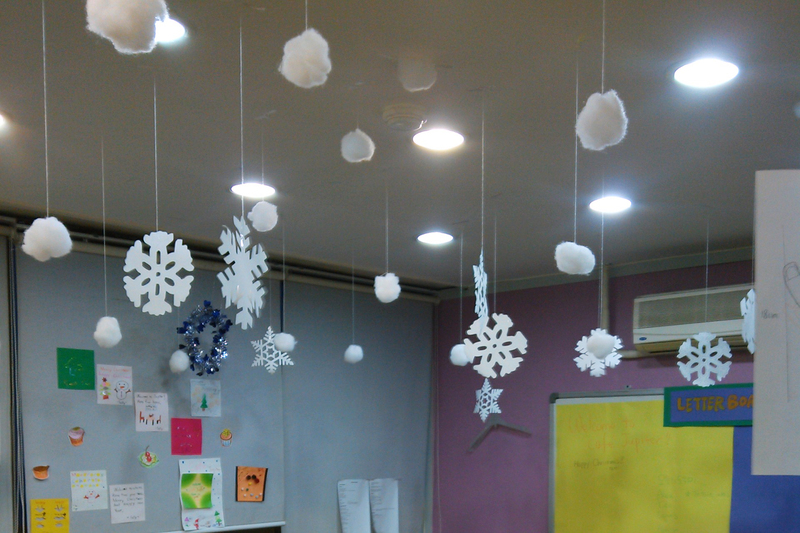 In Russia, Ryan decorated with snowflakes and played bingo. Ryan set the award for winning Bingo a bit too high at first, giving 15 fake dollars to the winner. 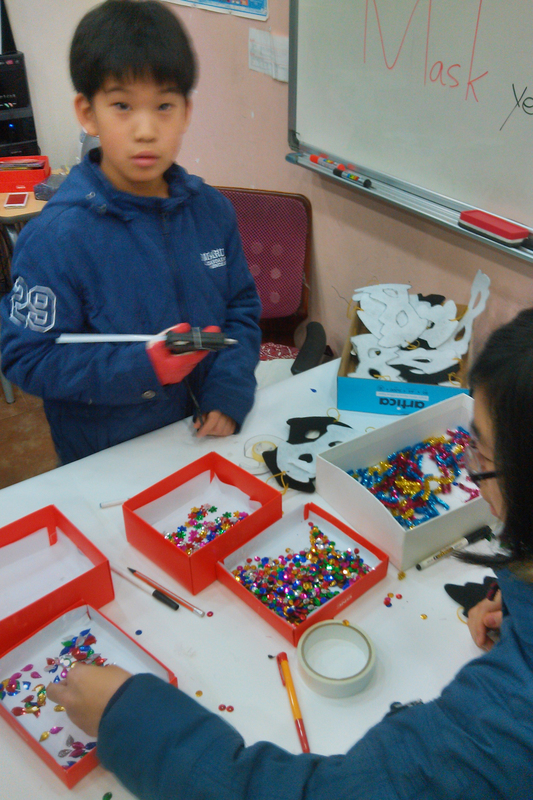 To contextualize our mini-economy, kids could generally purchase one piece of food for $1, and their buy-in for Bingo was $1. 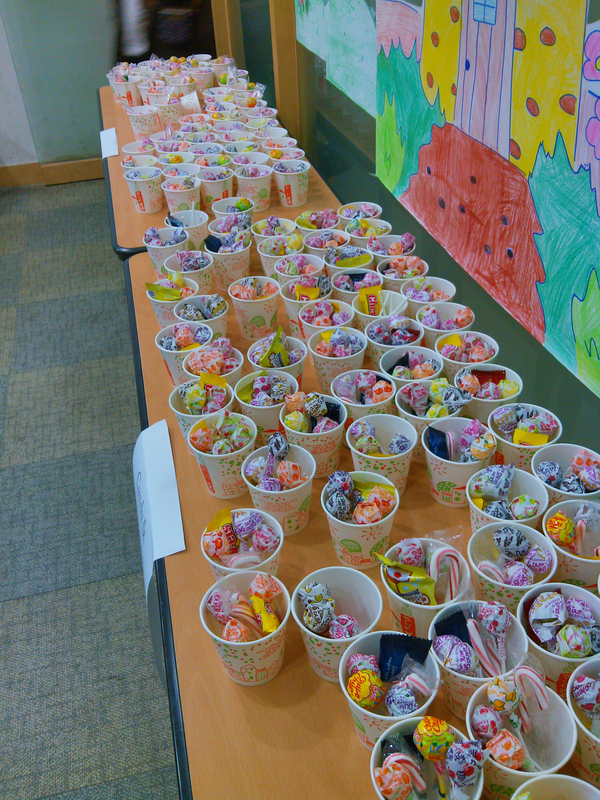 So Bingo was briefly popular. Kids love gambling. They would roll into my room after winning and buy pancakes for all of their friends. Big spenders. One of the directors of our academy had to ask him to lower the limit, and after that there were usually only a few players at a time. The USA hosted a “K-Pop Star” dance party. 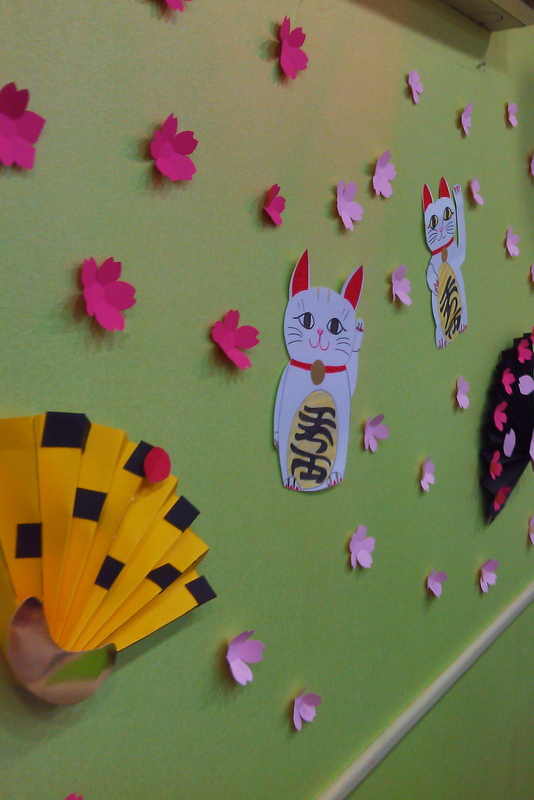 Japan served two traditional Korean dishes, and the kids helped decorate with adorable flowers and kittens throughout the room. 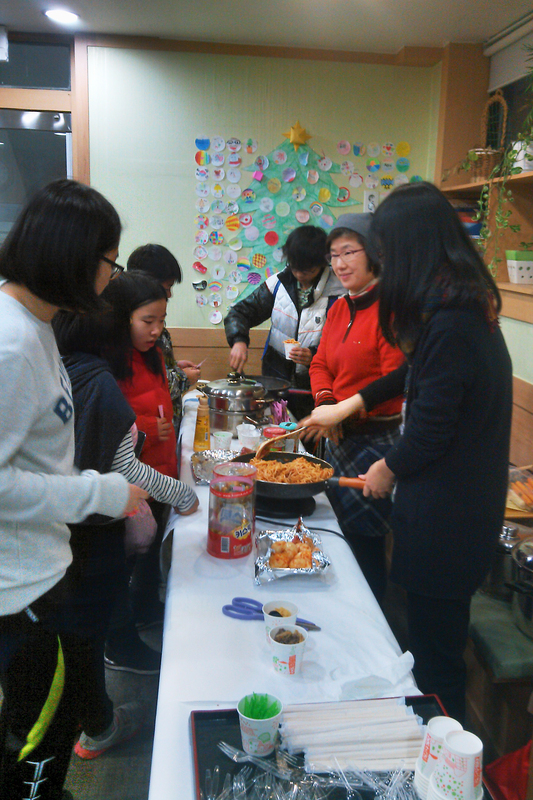 In the front, a giant spread of topokki (Korean rice cakes in a spicy sauce) and spaghetti were served by our school directors. 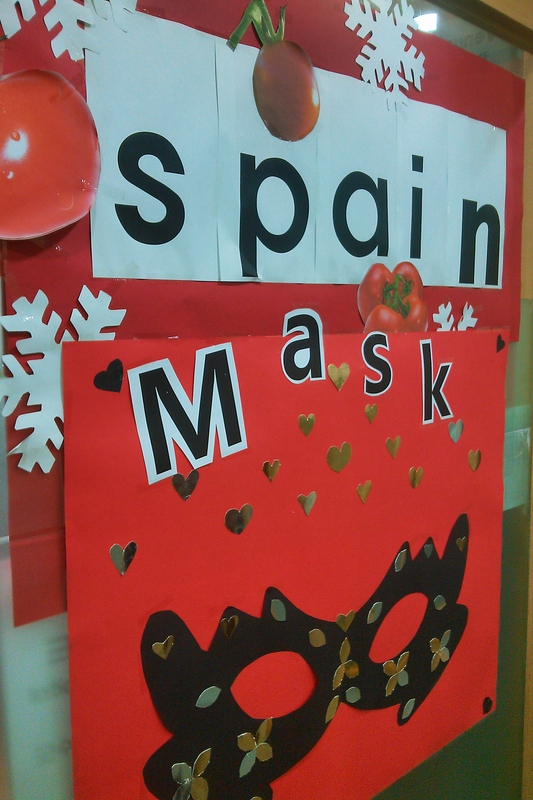 In Spain, the kids went confetti-crazy while making masks. 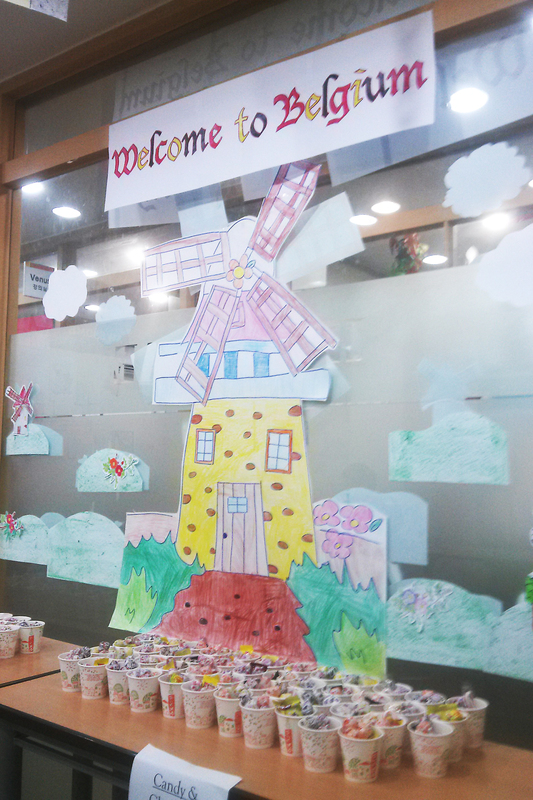 And my classroom was Belgium, decorated with windmills. I had a lot of the food in my room, serving cups of candy, tiny pieces of waffle, and pancakes. 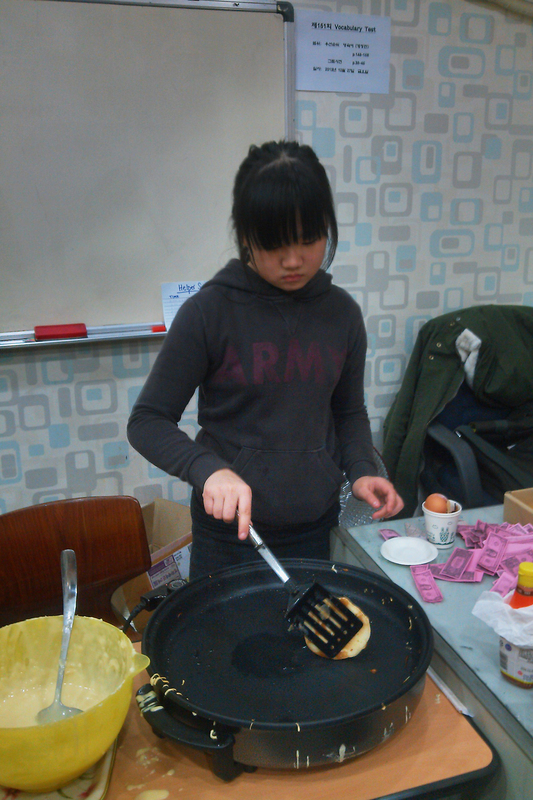 When I started to mix the pancakes, I asked Angela, our school director (who takes care of us like she’s our Korean mom), to help me translate the measurements. She proceeded to dump two bags of pancake mix in a bowl, crack a few eggs, pour random quantities of water and milk, crack a few more eggs, and mix. 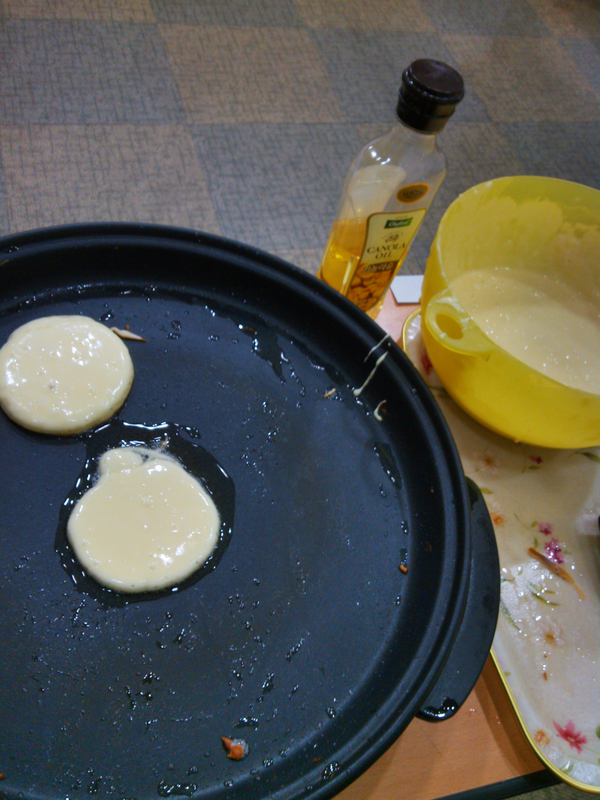 Something in this technique worked, because I made over 200 pancakes in a 5-hour span, and the teachers and students were raving about my pancake-making ability. I had a few helpers, but had to ban the kids after the loss of several pancakes due to poor flipping and my fear of sending a kid home with burns. Jenny was very serious about improving her pancake-making ability, and was sorely disappointed when I had to relieve her of her duty. 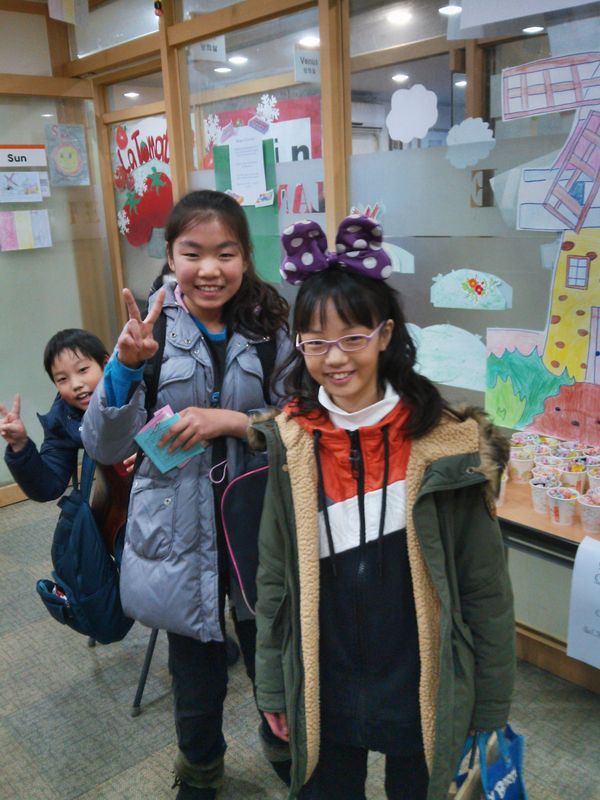 The event was really fun, and we got to meet a few of our students’ parents and their friends from other schools. 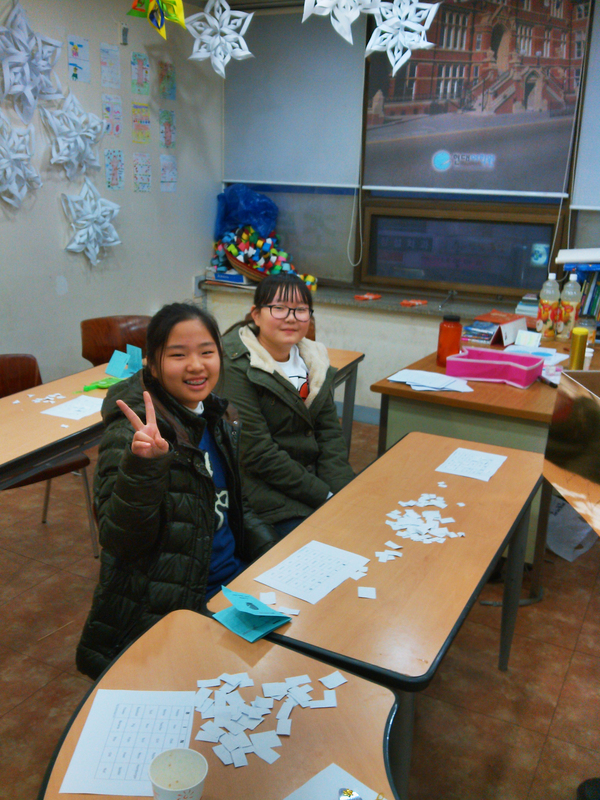 It was nice to see the kids running around and having fun, and having an afternoon off from their very serious studies.